(Lynn MA) The third time was not the charm for Brookline. 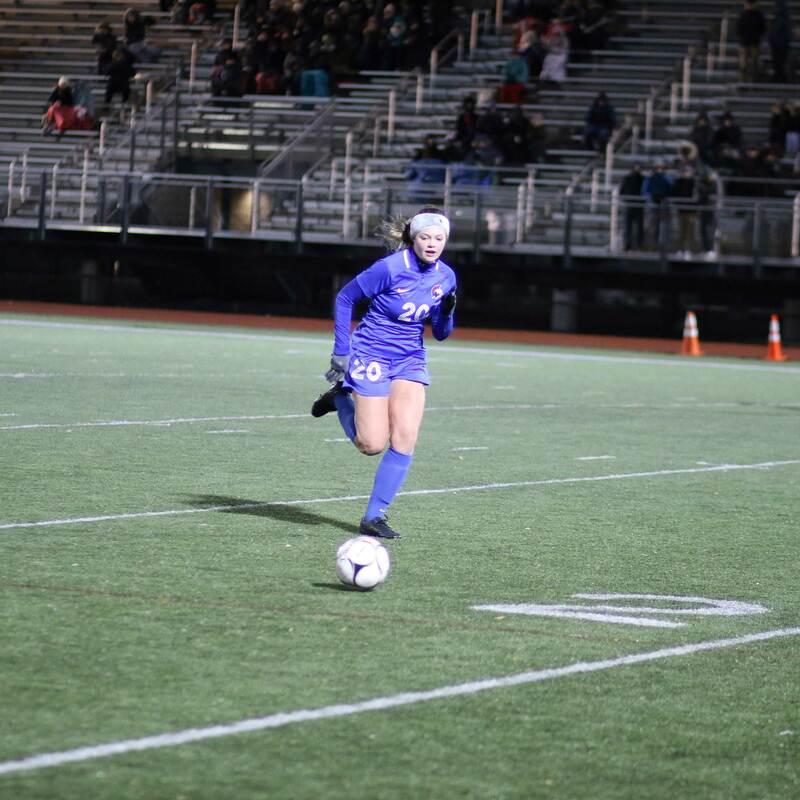 Instead it was same old, same old, as they fell to Natick 1-0 in the Division 1 state semi-finals on a very cold Wednesday night at Manning Field. 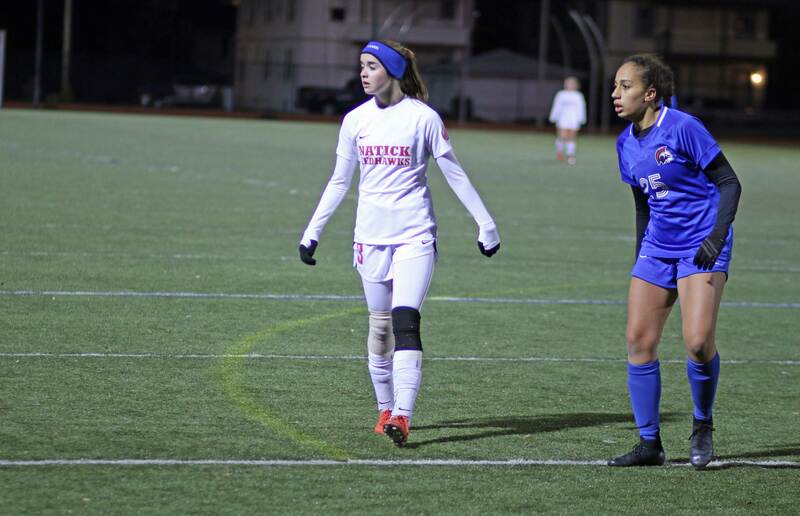 The Redhawks had a win (2-1) and a tie (0-0) versus Brookline in Bay State League play this season. 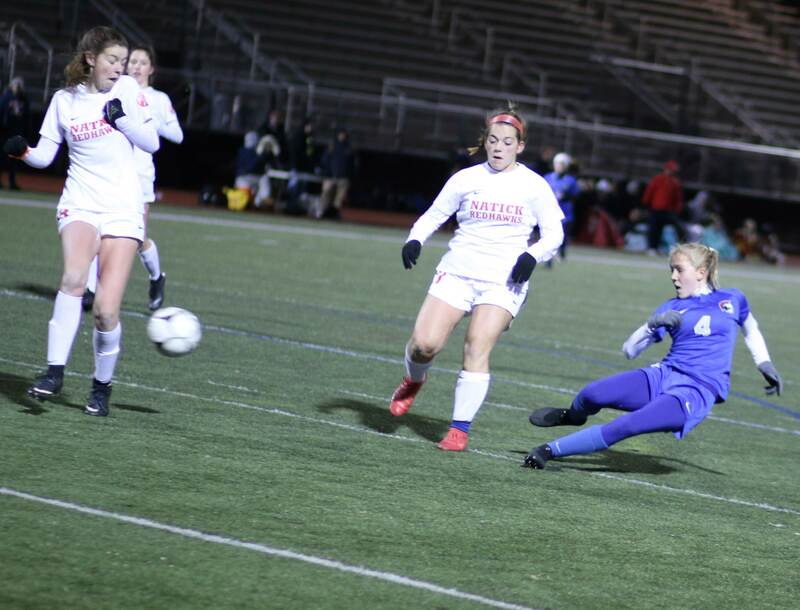 Senior Abby Gerdes had one of those two goals back in the September win at Brookline. 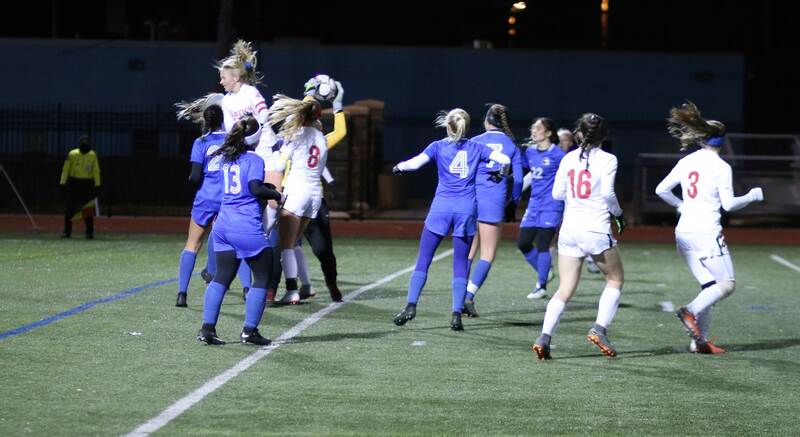 Abby added to her goal total in the second half to give the Redhawks (15-2-5) all they needed to advance to the finals on Saturday (at Worcester State) against Wachusett. 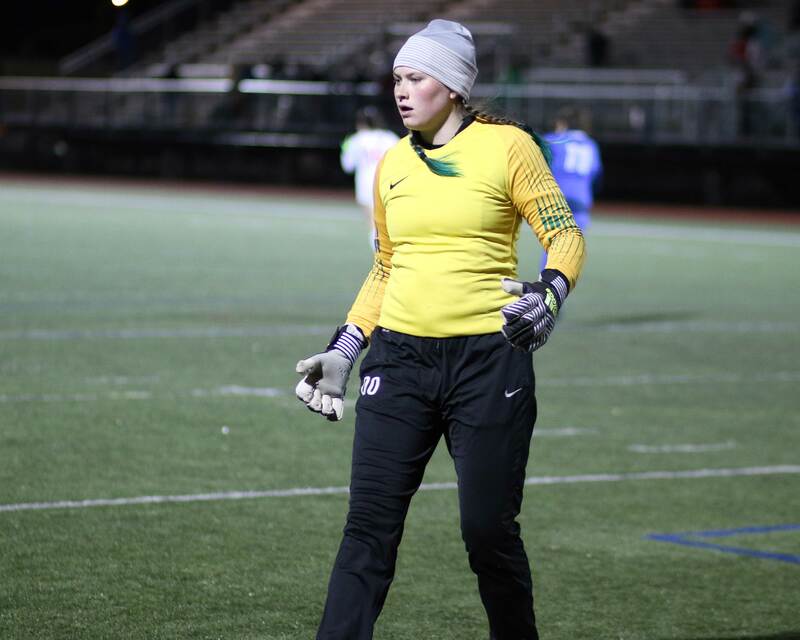 Abby also had a glittering chance in the first half. She came in on the right and shot hard for the far corner. 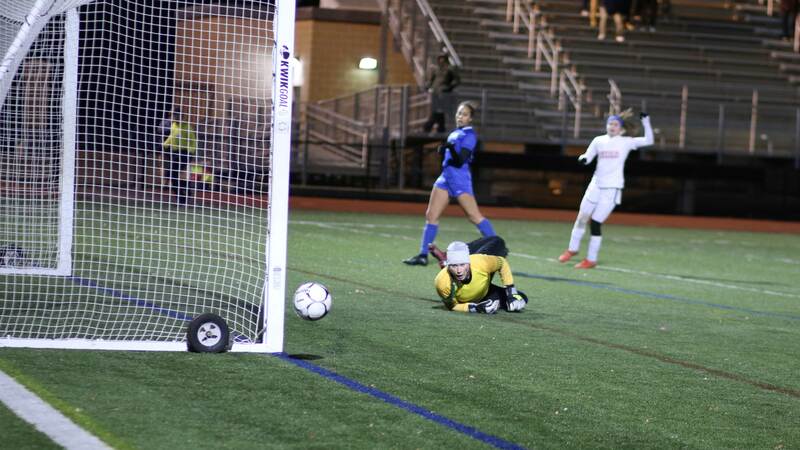 Brookline goalie Katherine McElroy dove and tipped the shot just enough to keep it wide of the net. 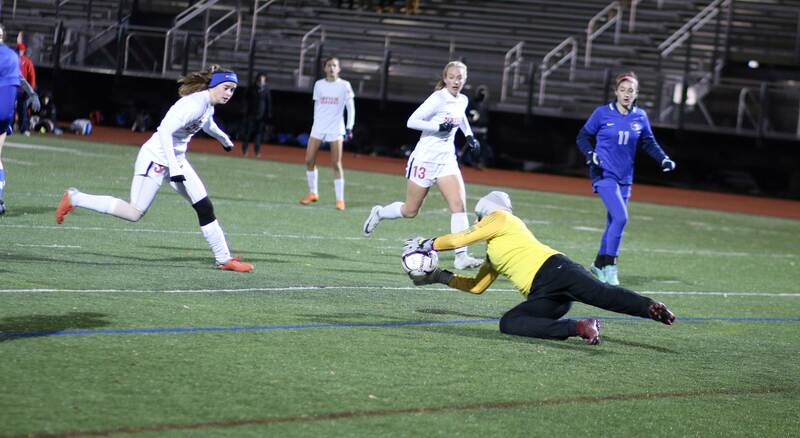 Also in the first half a hard Brookline entry shot bounced loose from Natick goalie Allison Jeter but her teammates were there to clear the ball away. The high quality of play kept most of the action at midfield. With few advantages for either side I suspected that this game would end in overtime or via penalty kicks. Based on how uncomfortably cold it was, I was glad for the earlier ending. 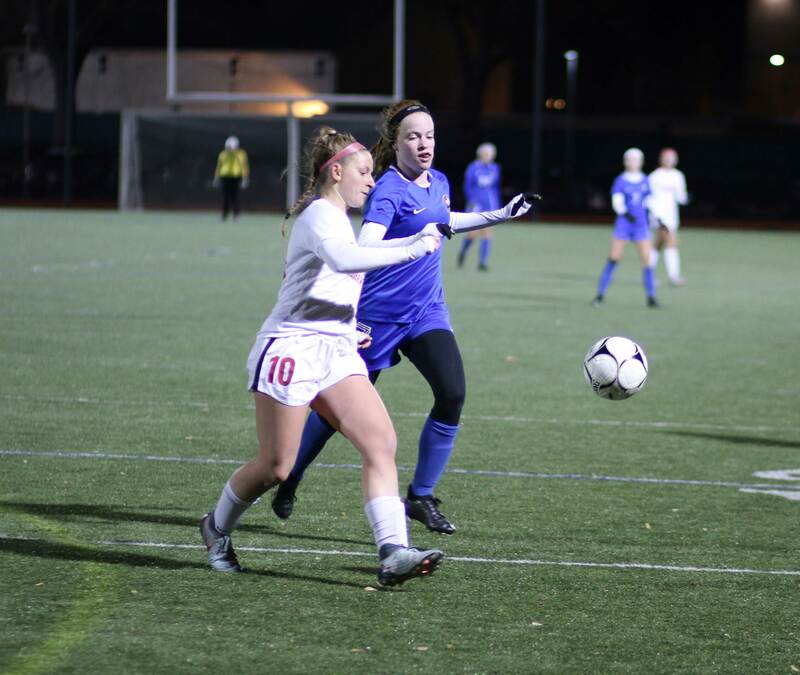 Brookline was undefeated in nineteen straight games before tonight’s loss. The Warriors (15-2-5) were the #2 seed in the North while the Redhawks were the #10 seed in the South. 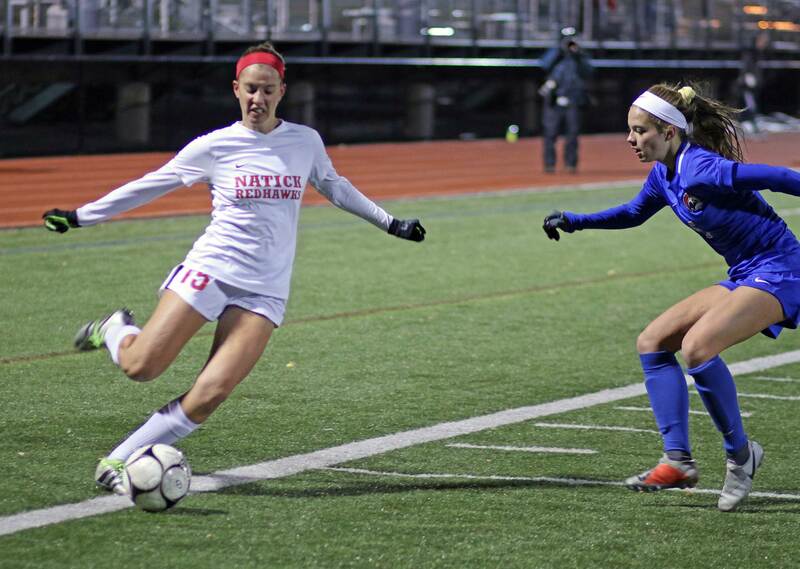 Natick has a chance Saturday for their first girls soccer title. I wouldn’t bet against them!